If you’re plugged into the fashion scene, there’s a good chance you know all about Psycho Bunny. As you should. These guys have been cranking out high-end, eye-catching apparel for well over a decade now. The fashionable brand is fresh, vibrant, and carries just enough edge to hold your attention. And it now has a line of golf polos, too. The Psycho Bunny golf line offers a wide variety luxury polos. Reaching into the time capsule, Psycho Bunny pulls inspiration from the traditional cotton polo of yesteryear, while freshening it with a modern twist. 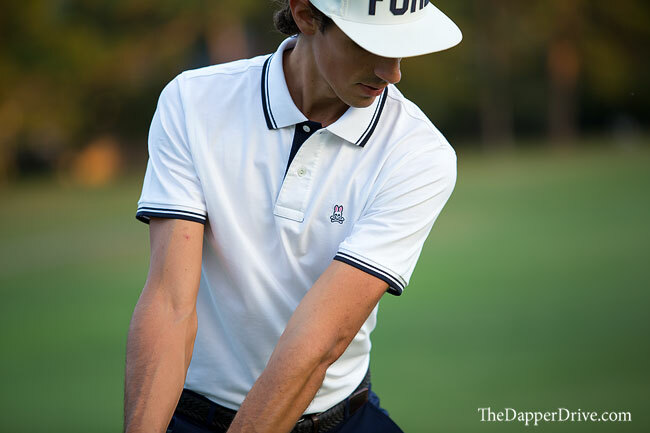 New age fabrics are employed to modernize the polo, with a pima cotton blend lending a bit of stretch and breathability (hello moisture management) to the mix. Rather than the ultra-shiny golf polos you’ll often find cluttering shelves today, the Psycho Bunny pima blend offers a more classic feel. 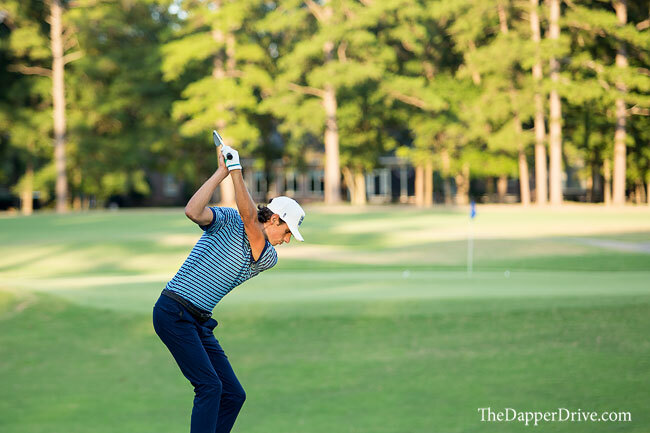 Unlike those old cotton polos — that weren’t so breathable — trust that these polos perform on even the hottest days at the course. 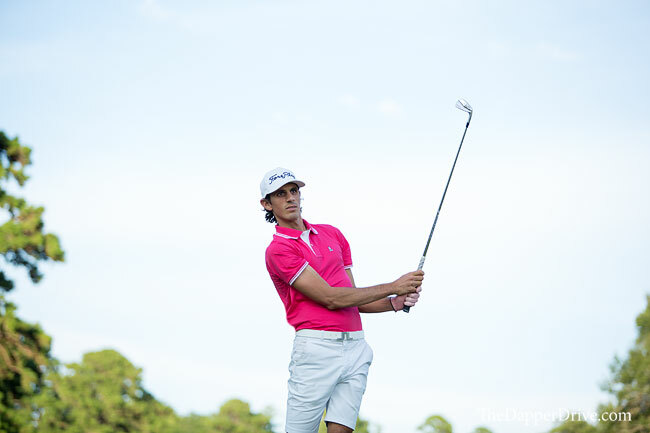 Another upgrade is to the fit, where an athletic silhouette (think trim not slim fit) elevates the look and playability of the polo. 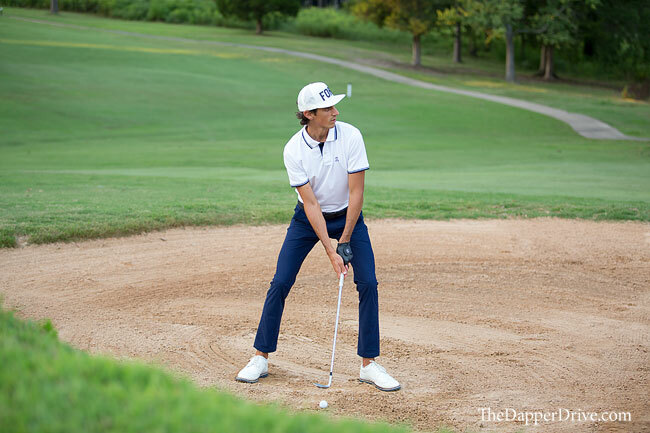 No worries of excess fabric bunching up around the waistline, and they’re designed to offer an ease of movement while playing. 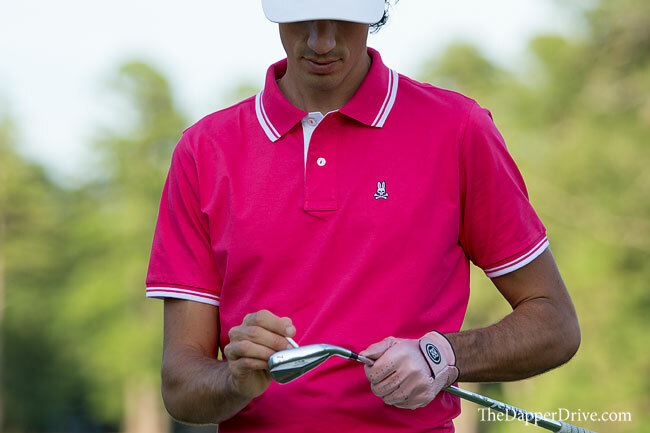 An added bonus is that the Psycho Bunny polo looks just as good off the course as it does on. Forget the outfit change after the round – these transition seamlessly to post-round festivities. Since picking-up a few polos, I’ve worn them for golf, to a backyard tailgate, on date night, and to an afternoon brewery hang with the boys. The versatility is endless. As good as the fabrics and fit are, it’s the designs and color options that set the Psycho Bunny polos apart. They’ve got you covered with standard solids like crisp white, while also offering plenty of bolder, show stopping pieces that include vibrant colors like Carnation and Mandarine. Or if you really want to make the closet pop, dive into a multitude of stripped polo options. I’m a sucker for a good shade of blue, so needless to say the Galaxy Stripe Sport Polo is atop my list of must haves. Regardless of color and style, other details – like contrasting striped collar and sleeves – add an extra bit of gusto to the designs. 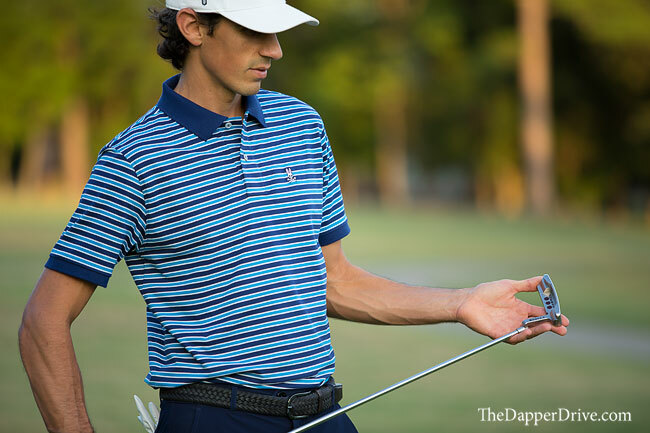 Consider the use of Mother of Pearl buttons and the super cool Psycho Bunny logo embroidery on the left chest, and these polos will become the go-to of your closet in no time. Aside from the premium golf polos, Psycho Bunny has some other great pieces that can push your style limits on the course. 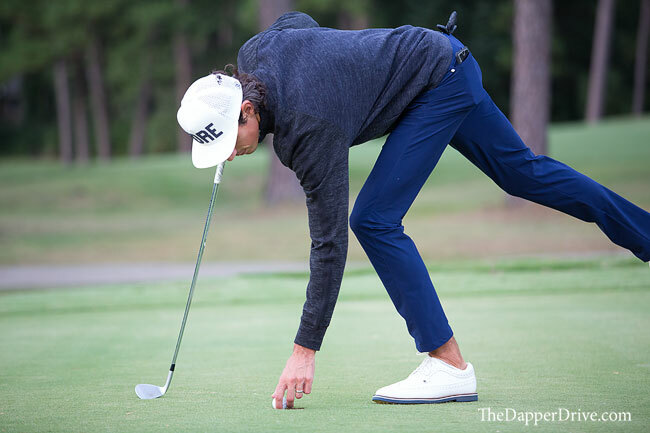 Many of the more forward golf brands are infusing street-style into the golf scene, and Psycho Bunny is certainly part of that movement. The Track Jacket caught my eye as a really interesting, modern piece that works great on the links. It features a double-faced, heathered fleece fabric and ribbed cuffs, both for added warmth and comfort. Though I’m a big fan of classic, knit sweaters, you can bet I’ll be mixing it up with the track jacket this fall. 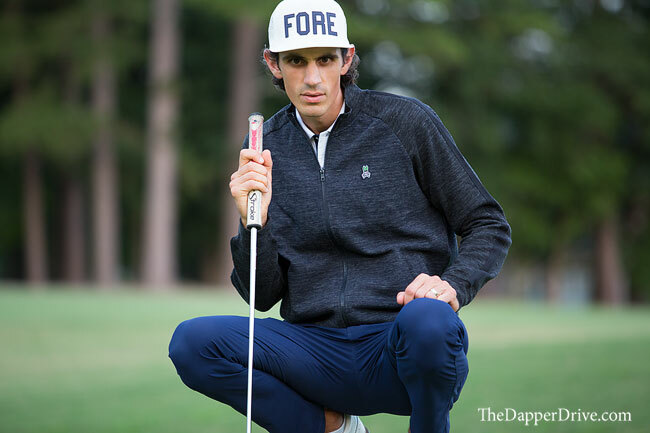 It’s lightweight, easy to swing in, and should prove to be the perfect piece to shake-up your golf wardrobe in the chillier months ahead. Psycho Bunny is bringing a welcomed edge to the world of golf. If you haven’t already, it’s time to get on board. Read our thoughts on the 2019 Psycho Bunny line here. *Enjoy 10% off your next purchase when you join the Psycho Bunny mailing list. Scroll to the bottom of their home page to enter.